Climate change was absent from ABC’s Democratic debate. ABC News’ David Muir and Martha Raddatz at the debate on Dec. 19, 2015. Saturday’s Democratic presidential debate began with a question about the ongoing controversy over a breach in the Democratic National Committee’s voter database and ended with a question about the changing role of a president’s spouse. 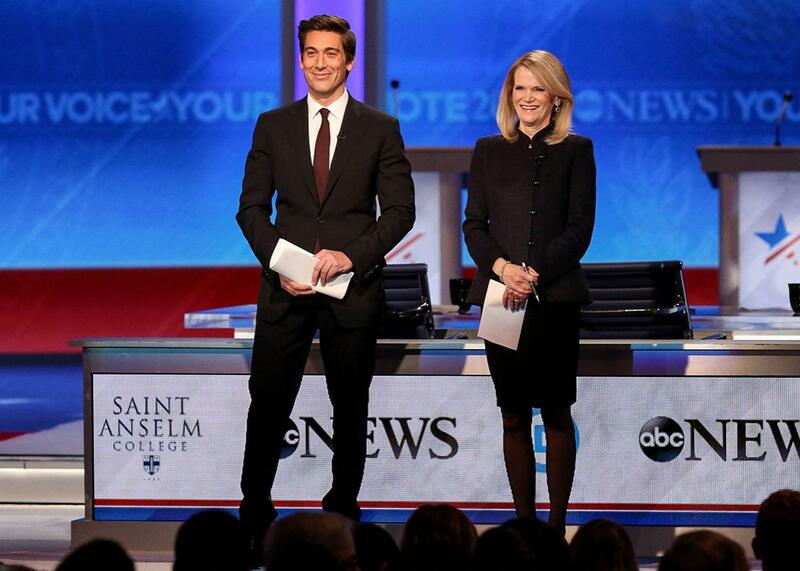 In between, ABC News’ David Muir and Martha Raddatz steered the candidates through several substantive issues, from ISIS to taxes to Black Lives Matter. There was one major topic, though, they failed to ask about: climate change. The only brief mentions of global warming during the entire night came during Bernie Sanders’ opening statement and Martin O’Malley’s closing one, and both of those were largely throwaway lines. “I’m running because we need to address the planetary crisis of climate change and take on the fossil fuel industry and transform our energy system away from fossil fuel to energy efficiency and sustainable energy,” Sanders said at the start of the debate. “The other big challenge we have is climate change,” O’Malley said more than two hours later.